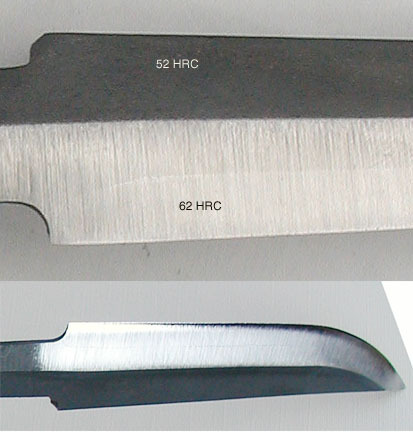 hardened to an incredible RC63. than anything you now own. 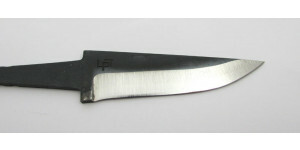 The Lauri PTX blades, with the high definition tempering line, have been discontinued. However, you can make your own. Dip a Lauri PT blade in Nitric acid (5 - 10%) for 2 to 3 seconds. Rinse with water and polish on a buffing wheel.